Behind the Scenes of Old Spice | Shelby White - The blog of artist, visual designer and entrepreneur Shelby White. The man himself, Isaiah Mustafa should win an award for his work on the Old Spice commercials. 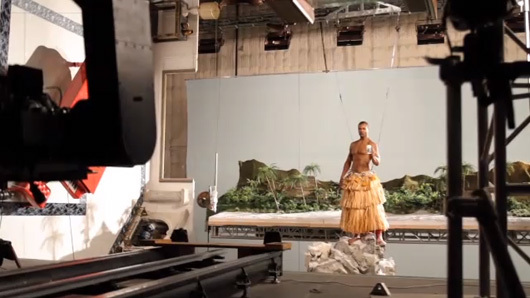 Take a look at this behind the scenes look at the making of the new Old Spice commercial. While humorous and informative, we’re shown how some of the support systems work elevating the talent and the set design. I love these commercials. It’s always nice when a company doesn’t take itself too seriously and is willing to try something a little different.